The ABA-FILL-BFGEA is an electronically controlled, automatic, net weight filling machine which is designed to bottom fill containers from half pint to 5 gallon pails. 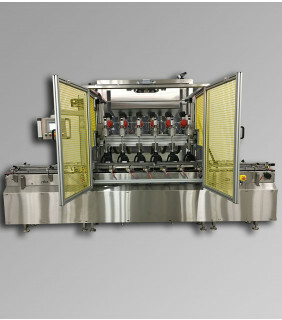 When it comes to the best automatic liquid filling machines on the market, ABA has the latest and largest selection available. Our fully automatic filling lines provide customers with a more hands-off approach to filling and deliver the fastest results. 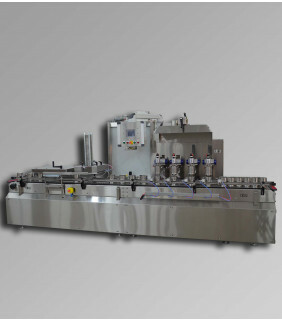 Technological advancements in the automatic liquid filling sector, have led to numerous benefits in speed and accuracy throughout the industry. Today's liquid filling equipment, comes fully loaded with countless features to increase product output and minimize over and under filling. Some features include: PLC controls, continuously running conveyors, quick and easy size changeover. ABA supplies both volumetric and gravimetric liquid fillers. Companies of all sizes, rely on ABA when they want to add the latest and most innovative automatic liquid filling machine to their production process. Our many years of experience have helped to make us one of the top automatic filling machine experts in the USA. We carry numerous models able to handle the needs of today’s chemical and paint industries and we provide machines to companies in countries all over the world. These automatic filling lines are running now in top companies worldwide in countries such: as Malaysia, Singapore, Chile, Peru, Columbia, Canada, China, Dominican Republic, Venezuela, Guyana, Honduras, Ecuador, Costa Rica, Turkey, Indonesia, the UK and Mexico. 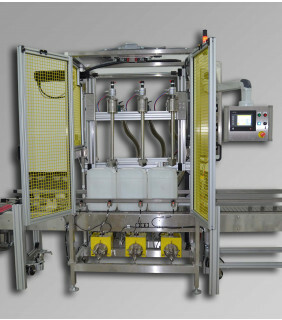 Depending on the needs of your company, we custom design all of our automatic liquid filling machines to be best suited to each of our customer’s specific fill environments. We supply both net weight (gravimetric) and volumetric automatic filling machines to match our customer’s specifications and to achieve the highest levels of accuracy, speed, and throughput. 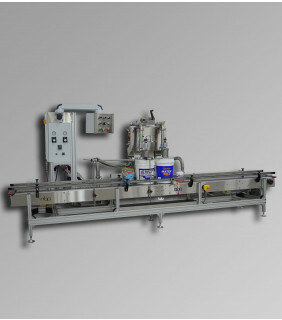 Regardless of the type or model of automatic liquid filling machines your business requires, we can supply it for you. We offer 5-star rated services, and are committed to custom designing the machine or line best suited for each of our customer’s filling needs. Call or visit us today to speak to one of professional and expert representatives. Let us find the best automatic filling machine for your company today!